LinkedIn is a great tool for showing people’s education, work history, experiences, and accomplishments, but for people who have never fit well into boxes, LinkedIn’s boxes just don’t present the big picture of people outside the box in their thinking, paths, and accomplishments over the years. In fact, at a quick glance at the boxes one could even think that such an individual’s life has been a series of unrelated or unconnected events … but then again what may seem chaotic to the norm is in fact just what the norm needs to improve the quality of their life too … and that is the value people outside the lines of the traditional path bring to the majority … once the non-traditionalists have connected the dots themselves to discover what contribution their unique qualities, experience, and discoveries have yielded to bring back to society. And this is true for me too. As a result, I have deleted most of my information off of LinkedIn and instead will be creating a profile page on this blog that will aid viewers, potential partners, sponsors, employees, etc. to better comprehend who I am and what my social business venture has to offer the world … so stay tuned! See you soon … and thanks! Back to the writing desk … two books to finish, publish in ebook form, and upload to Smashwords.com, plus a children’s version to envision and put on paper also. Wishing you joy and passion for the work you do too! New ideas, discoveries, creations, and fresh perspectives take time to come to fruition as most inventors, scientists, artists, and forerunners know from experience, so why would my experience be any different? There is a long learning stage, then development, with many trials and error periods, then analysis, followed by introspection, then the tinkering, adjustments, and revisions before once again putting the work out in the public forum again. 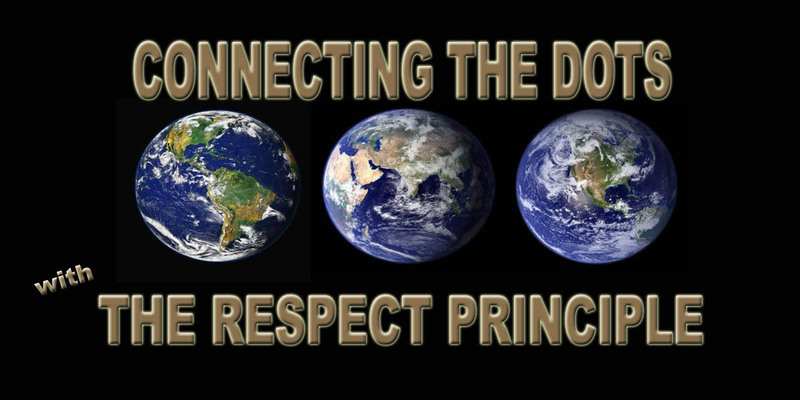 So once again, I put the Charles Choice 9/11/2017 StartSomeGood crowdfunding project out there to raise the funds to the produce the play and film for the Connecting The Dots With The Respect Principle global initiative targeted for 9/11/2017 release, but the project timeline runs out in less than 7 hours now and the funds have not been pledged. Yet now is not the time to get discouraged, but to remember the company I keep … other inventors, scientists, artists, forerunners … who know about the process, time, and perseverance to regroup, analyze, think, and revise … to do it again until the goal is reached. Thanks to you for the encouraging words and supportive gestures that also fan the flame of passion driving the work to transform respect from a discretionary value to a principle with the recognition that everyone matters in God’s eyes and one day hopefully will in our eyes too. No one or no organization is immune to low “Respect Levels” and the consequences. Low “Respect Levels” for people shows up in all kinds of places … including employers. Anna Slater 1 day ago© Mirror/BBC South East Miss Jacobs says she has so far received no apology from Tecomak.